Keynote is CE like you’ve never seen before. Keynote courses fulfill elective Continuing Education credit in KS and MO and CRS Designation Elective credit nationally. 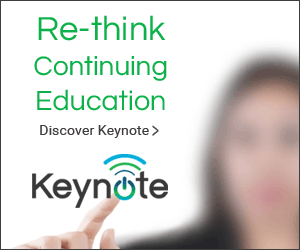 Click here to see a full class listing and purchase a Keynote Course. High quality content relevant to your business and delivered in a convenient package. Keynote transforms traditional online courses into your own personal classroom with your own personal coach. Its unique interactive video technology helps you retain and use what you learn.